The U.S. has seen a rapid increase in consumers eliminating or greatly reducing gluten from their diets. In a recent study, 44 percent of American consumers report experimenting with some type of diet or eating approach. Data is also showing 11 percent of consumers who are experimenting with their diet have been going gluten-free in the past year, for a variety of reasons. As a pizzeria, bakery, or any business that offers bread-based products this is great information because you now know what consumers are looking for. 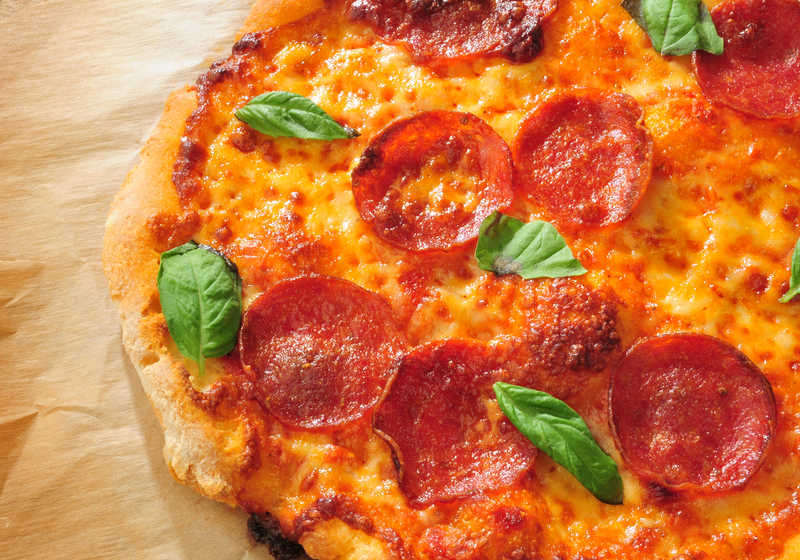 The gluten pizza market is a whole new market that should be tapped into accordingly. You can read more into the statistics about this growing gluten-free and low-gluten market in the infographic below. Offering a 100% gluten-free pizza and other products may seem extremely difficult for any food service provider. Think about the number of ingredients that go into each product. Now think about how you source all of those ingredients. Can every establishment offering gluten-free products ensure that every single ingredient was not cross-contaminated with a gluten product across every step of the supply chain? In most cases, no. At least not 100% of the time unless they have a dedicated area for prep. In fact, that’s a reason why so many food service providers don’t even attempt to offer a menu full of gluten-free products. They feel there is simply too much risk to guarantee a 100% gluten-free product. But what if there was the ability to offer gluten-free dough without the 100% guarantee of it being 100% gluten-free 100% of the time? Enter the Gluten-Less pizza menu. True, this is a 100% gluten-free dough to start, we ensure that from the first ingredient to your freezer. But you don’t have to promote 100% gluten-free menu items if you feel your facility cannot guarantee that due to prep stations or general worry about cross-contamination. You can instead promote gluten-less menu items. Pitch the idea that your customers can still enjoy pizzas, breadsticks, calzones and other menu favorites without all the gluten that normally comes with those items. We understand facilities like yours undergo frequent employee turnover. We also understand the need for your facility to produce a consistent, quality product – every time. That’s why we’ve made our Gluten-Free dough so easy to work with. It works just like any other dough your employees have experience with, so training time is minimal. Plus, it boasts the consistency and quality that many have come to love from DeIorio’s products. Here at DeIorio’s we don’t sacrifice taste just to make our Gluten-Less Dough. That would defeat the purpose of providing a product that our partners (and their customers/end users) love. Instead, years of research and testing have resulted in our dough tasting great – no matter the menu item. From calzones to breadsticks to pizzas and beyond, our Gluten-Less Dough is versatile enough to create any menu items you currently offer, and even inspire new ones. Looking for menu ideas and recipes that pair well with our Gluten-Less Dough? There are a lot of gluten-free toppings that go perfect with our gluten-less dough balls and flats. It’s time for your facility – whether you operate a convenience store, gas station, pizzeria, bakery, amusement park, etc. – to offer a product that a growing number of Americans crave. It’s time to offer our Gluten-Less Dough! Contact us today for special wholesale pricing options, nutritional information, or assistance with any questions you may have.